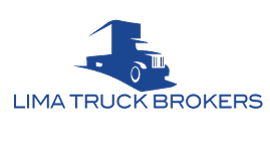 Lima Truck Brokers (LTB) is a Third-Party Logistics (3PL) company freight broker. We offer around the clock (24/7) service to our Customers and Carriers to ensure on-time delivery of our Customers’ freight. Customer service is our #1 priority. With over ten years of customer care experience we pride ourselves in doing whatever it takes to get your commodity delivered on time. Each load is assigned to a personal broker as the point of contact. This person is available 24/7 (Cell Direct, Text, or E-Mail) and handles your product from start to finish. By providing a personal broker for each load we achieve excellent communication between our customers, drivers, and destinations to ensure on-time delivery. Our mission is developing partnerships within the industry that’s allows us together to provide impeccable shipping experiences that continually exceed expectations. 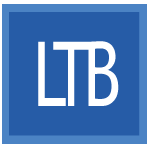 LTB offers a single point of contact that is equipped with all the skills and tools needed to operate quickly and efficiently while handling your product. Your personal broker will provide tracking updates and is available by email or phone at any time (24/7). We closely monitor each carrier chosen for your specific commodity and equipment needs within our built in grading system. Maintaining long lasting relationships is LTB’s ultimate goal. We consider ourselves partners in the delivery process. We encourage our carriers to contact us with any questions/concerns that may develop during any particular shipment. Our goes is to ease the stress for our carriers by providing assistance as challenges arise through customer relationships to provide fast, fair, and convenient resolutions. Your personal broker is available by phone or email around the clock for the duration of your shipment. Lima Truck Brokers is a nationwide 3PL service provider offering Truckload, Less Than Truck Load, and Intermodel freight. LTB offers around the clock service for it's customers and carriers to ensure delivery for each specific commodity arranged. With ten years of customer care under our owners belt, LTB's main focus is full spectrum communication. © 2017 Lima Truck Brokers | All rights reserved.